Know how to group your audience to best target them. It’s an age-old question: Is it better to cast a large net and get ads in front of more eyeballs, or is it better to target a smaller, more specific audience? Given all the data available to marketers, it seems intuitive to go with a highly-targeted audience. Slimming down your audience and focusing on people that are more likely to be interested in your service is considered one of the cornerstones of good marketing. But how do B2B marketers get to know who their ideal audience is and how can marketers get them to convert? The answer lies in customer segmentation. Put simply, customer segmentation is the act of grouping markets/customers into categories based on their characteristics and what they might be looking for. By placing customers into various segments, we can get a deeper insight into what makes these groups tick—and learn how we can better target people in the future. By segmenting groups based on common characteristics, we can create highly personalized messages that are more effective, thus increasing the chances of a conversion happening. It’s a smart way to cut out people who are less likely to convert. 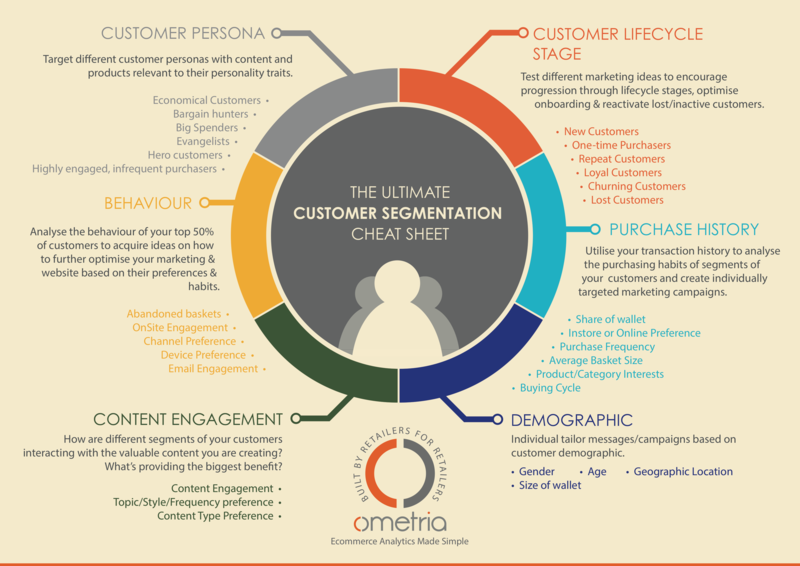 How do B2B Marketers Approach Customer Segmentation? Avoid making your parameters too broad as they can negatively impact your strategic marketing plans. Ideally, we want our target segment to be specifically defined. For example, socioeconomic demographics are a necessary, yet small piece of the marketing pie we’re trying to bake: We need to dig deeper into demographics that include purchase history and behavior, customer personas and engagement and more, depending on your marketing strategy. Looking at past data that shows how customers have engaged with your business is a good foundation. Answer questions such as: Who is a repeat buyer? What needs do your products or services fulfill? What other unaddressed needs do these people have? After answering these questions, begin crafting your segments. Create your best customer profile: What is their age range, gender, socioeconomic status, interests, and so on? This profile helps identify people who highly likely to convert. Next, create secondary profiles of leads that share some similarities with your primary customer profile. These groups have similar needs and are still a valuable audience to target. Your last group is made up of people that find you. These are still valuable targets but not as much funding and effort should go into targeting them. Customer profiles are a great tool to assist us in helping to craft your marketing messages. They will guide us in what, where and how to send messages that will get your customers to convert. Mistakes are unavoidable, especially if this time is the first you have ever created an ideal customer profile. Through data analysis and time, you will be able to strengthen these profiles through new insight, getting you one step closer to your ideal customer—and more conversions. Still, there are some issues that can arise during the customer segmentation process that prevent successful segmentation. Even though you’ve put tons of time and effort into putting together your target customer profile, don’t stop there. As B2B marketers we may fall into the trap of thinking that even our small target audience is homogenous, leading to missed opportunities. Avoid this mistake by even further segmenting your target audience into micro-segments. The more specific, the better. This way we can help you create highly personalized marketing campaigns that have the highest chance of conversion. All the data in the world won’t help you segment your audience effectively if the data you’re using is incorrect. Don’t rely on just one source of data. Instead, gather information from other sources to validate your first set of data. Use first-party data, or data that is collected from real interactions with past customers, to get some predictive analytics going. Collect data that outlines who your customers are, what they purchased and at what price. Keep data from past marketing campaigns as well as all activity on your website and social media platforms. It’s important to remember that some data collected over time, like email addresses, phone numbers and addresses, will eventually become outdated. Is this something to really worry about? Absolutely. Outdated or incorrect data costs marketing departments labor hours and money. Time gets wasted on groups that will not convert instead of spending time on solid leads. Validate your data by keeping up with prospects and contacts to ensure you’re sending the right messages at the right time and keep all CRM info as updated as possible. Once you’ve done the legwork, gathered and analyzed all your data and created your segmented audience, the creative work begins. As marketers, we give our audience what they want by crafting messages that speak to them on a personal level. We get to know what they want and what they need—and then offer them an ideal solution. At Paragraphs, we help clients get customers to convert because our strategic marketing is based on a process that yields the best results. Ready to take your strategic marketing to new heights? Contact Paragraphs today.